Social Media Market is a German company that claims to offer high-quality YouTube views. They state that all the views they provide come from real people and will give your videos’ popularity. To test their claims, we took a close look at the company’s different Youtube Views packages and overall service. These plans are reasonably sized, ranging from 1000 to 50,000 views. The views that they deliver are of good quality, with high watch rates. We just wish that they had larger packages and more competitive prices. The site also has good customer support. Their agents diligently answered our questions through email. We think that adding a live chat option will make their customer support team better in responding to inquiries. At this time, their YouTube views service is down and you will need to look at our list of Top YouTube Views providers for options. 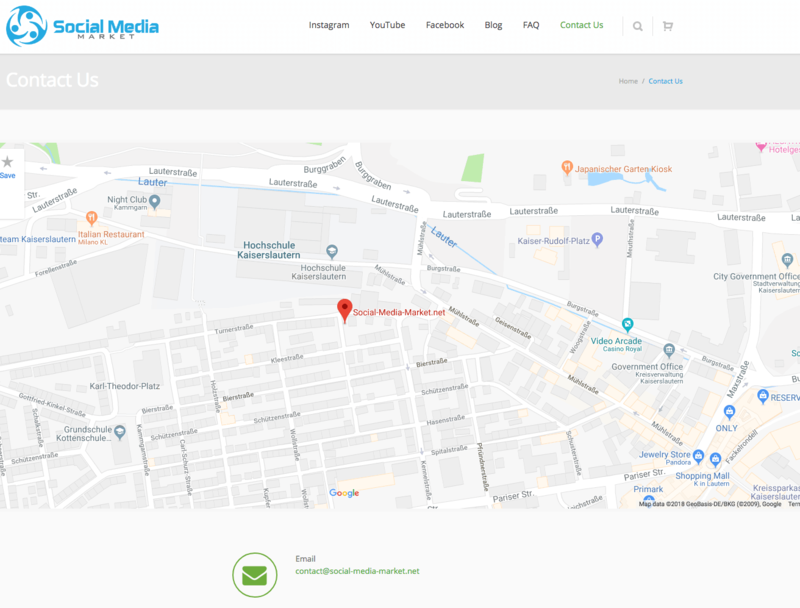 Social Media Market is a German social media promotions company that offers services for different social media platforms. The company provides both YouTube views and subscribers. The other platforms they cater to include Instagram and Facebook. The site claims to provide only high-quality services to customers, stating that they have served over 10,000 clients. They added that their services are safe and will help you grow your YouTube fanbase quickly. Social Media Market offers six different YouTube views plans ranging from 1000 to 50,000 views. The site claims that they complete delivery of orders within 48 hours after your purchase. They also offer YouTube subscribers. The company accepts payments through PayPal. To place your orders, you only need to provide the target video URL. You can order views for multiple videos in one purchase. We reviewed the terms and conditions sections on the Social Media Market website and made a few comments on their status below. To find out more details on these, then please toggle the sections to see what we thought! They state that they are not liable for issues or damages that might arise from your use of their services. They add that, in case of disputes regarding this, German law will be the one applied in resolving the case. The company says that all their prices already inclusive the relevant taxes. While they prefer Paypal as the main mode of payments, they also accept credit cards and Bitcoin. Social Media Market also reminds its clients that it sends order confirmations through email. As such, you need to ensure that the email address you give during purchase/registration is correct. They also provide a contract of the order that you can view on your user account. Aside from the personal data that you submit during the ordering process, they collect information about your activity on their site. This info is placed into a log file that they temporarily store. They assure that the information is used only to improve the delivery of their services and for market research. The site also states that all of the personal information that you share through email is used only to answer your inquiries. They confirm that they might use your email address to send promotional materials about their services, provided that you give them consent. The site says that they delete this information after a certain period of time. You also have the option to have your information removed from their servers. Send their customer support staff a request for this. 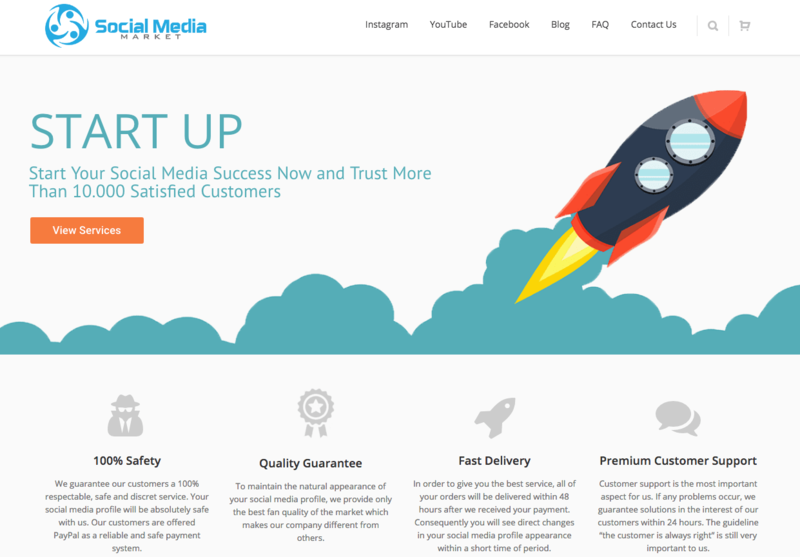 We talked to Social Media Market’s customer staff and confirmed that they offer refunds. Full refunds are applicable only in case the views you ordered are not delivered or if there are errors. To request a refund, you need to email them at contact@social-media-market.net. According to Social Media Market’s agents, they offer a 30-day refill warranty for all their services. They added that they can sometimes provide refills beyond the warranty period, depending on the circumstances. Contact their customer support staff as soon as possible for a refund. Social Media Market mainly provides customer support through email. You can send your inquiries to contact@social-media-market.net. They typically respond within a few hours. The company also has a physical address and a phone number that you can contact. 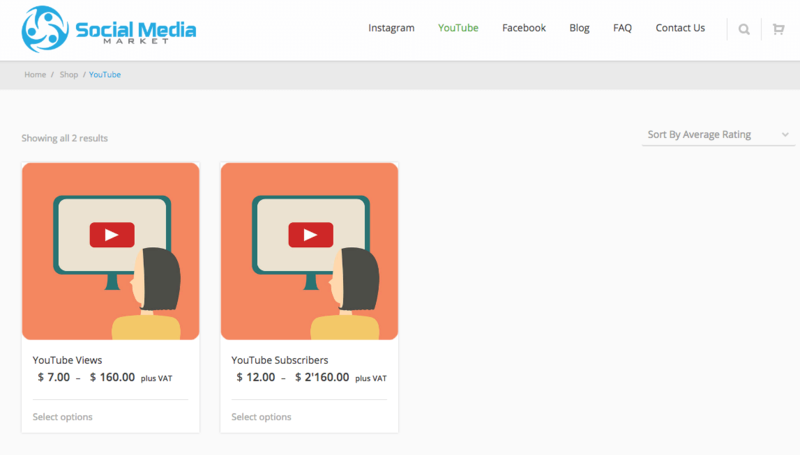 Social Media Market offers decently-sized YouTube views packages. The site claims that these views are genuine and have high watch rates. Their prices are slightly higher than other providers we have tested. While they seem to be a good provider overall, their YouTube views service is temporarily down due to issues with YouTube. As such, we recommend you check out our list of other YouTube Views providers to find ones that offer comparable packages. Social Media Market states that they complete delivery of your orders within 48 hours after your purchase. This is independent of the size of the package you get. The site says that you will be able to see results on your videos within a few hours. The company says that all of the views you will get are from real people and are generated from desktop computers. They claim that the viewers will watch at least 75% of your video. This is a good watch rate that will contribute greatly to your video rankings. Social Media Market says that the views they provide have a watch rate of at least 75%. This provides a strong register on YouTube’s rating system and will ensure that views will stay. 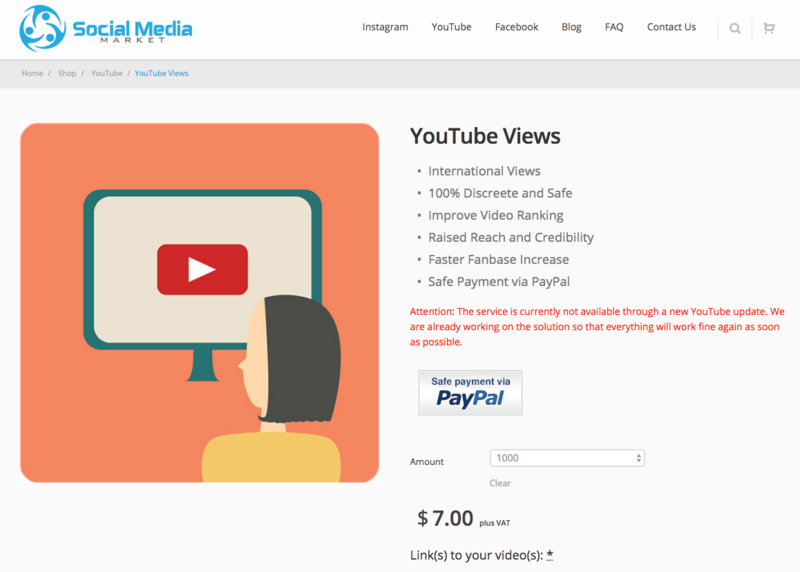 We found Social Media Market’s YouTube Views service to be fairly good. The quality of views they provide are admirable, and they are priced competitively. We also wish that they had packages larger than 50,000 views on offer. Their customer support team is responsive despite only using email to answer our questions. On the other hand, the guarantees they have are standard for the industry but still offer good customer protection. Overall, they are a good recommendation for boosting your YouTube videos’ popularity. At this time, with their service down, we have to suggest that you take a look at our list of top YouTube Views providers. ViewsReviews © 2019 - All Rights Reserved. This website is in no way affiliated with any other Social Media website.